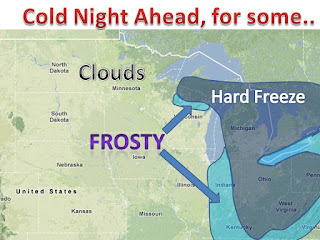 It will be a harsh freeze for many in the eastern midwest. Freeze warnings are up for hundreds of counties. 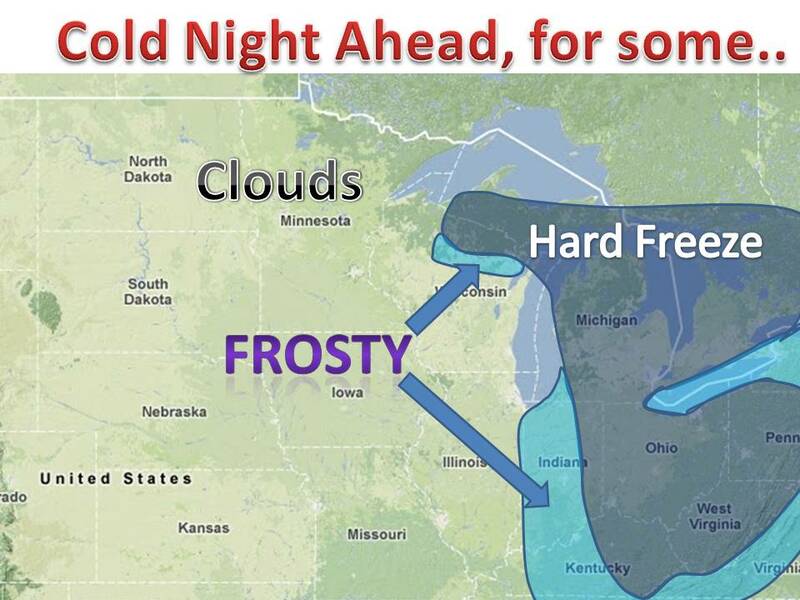 Areas in the west will not fall below freezing due to the clouds acting as a blanket for warm air.